September is Apple Month at our house. 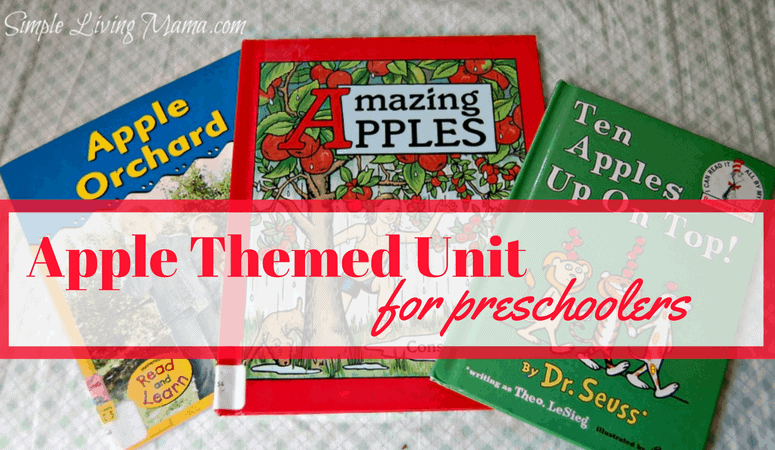 Every month I choose a theme for my preschooler to work through. I like to make sure we have at least one activity to do related to our theme. 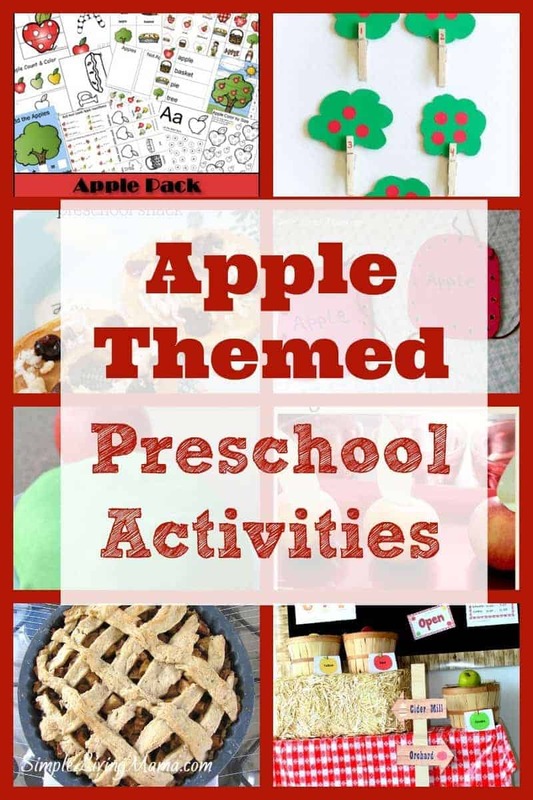 I decided to pull together a collection of apple themed preschool activities for any other moms working on an apple unit study for their preschoolers! 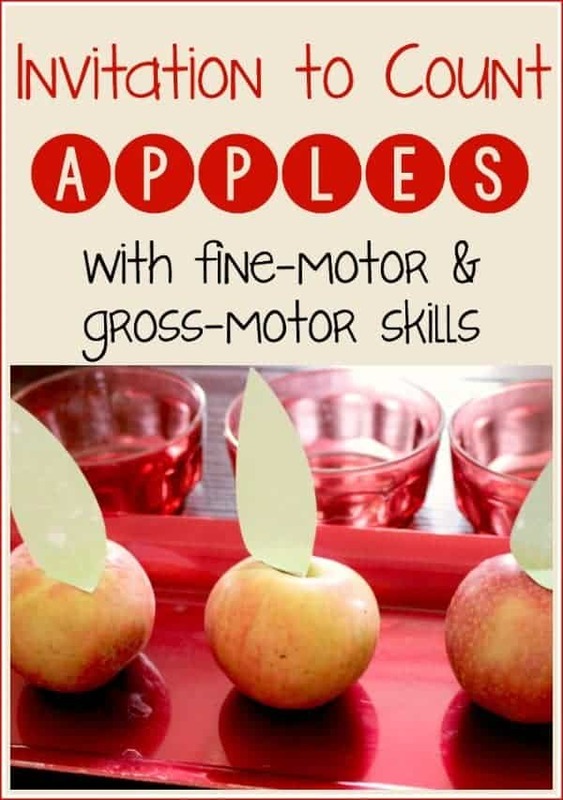 Create an exciting unit study all around apples for your preschooler with these awesome ideas! 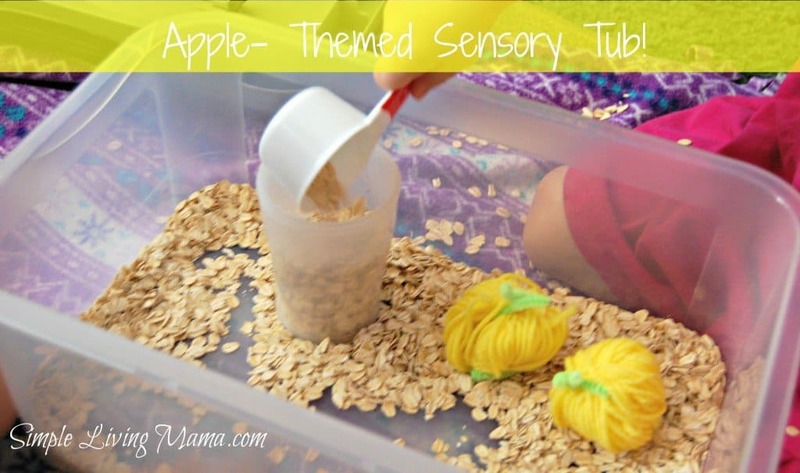 Easily create an apple themed sensory tub for your preschooler. 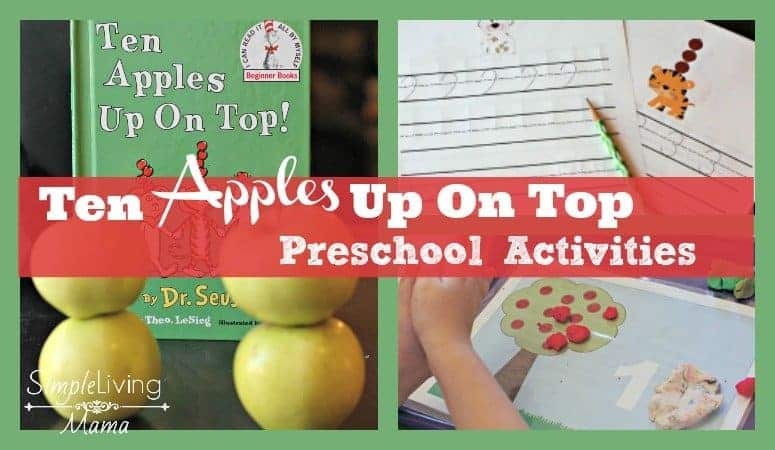 Expand the fun and learning with the popular book, Ten Apples Up On Top! 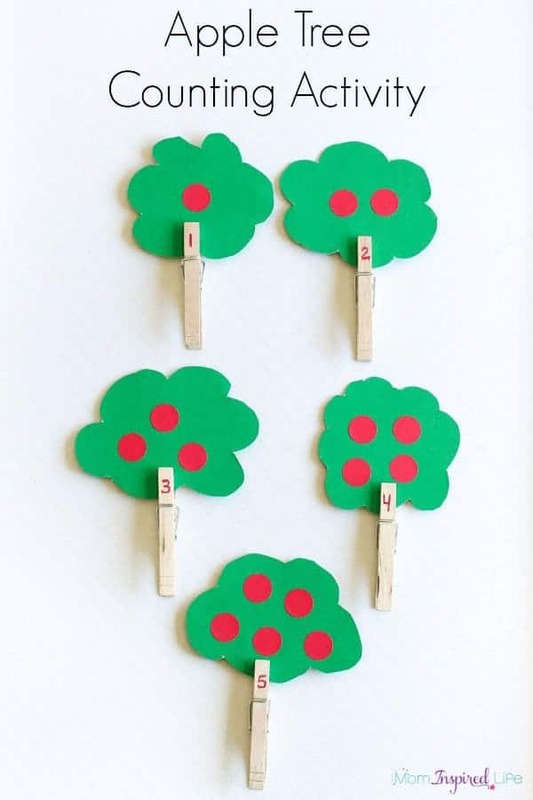 This looks like a fun way to practice counting! 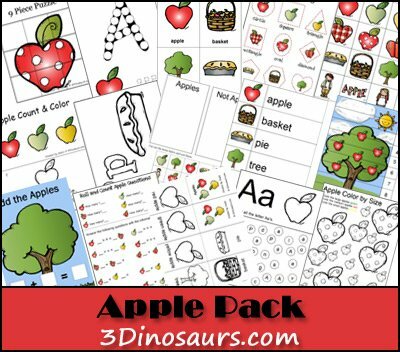 Preschool packs can be fun for quiet activities. 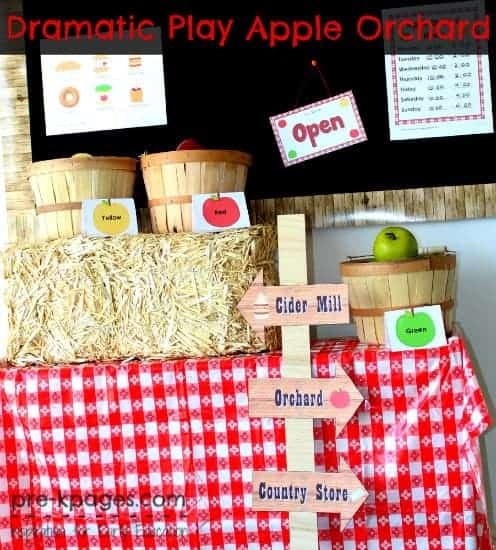 Dramatic play is always a hit in my house! 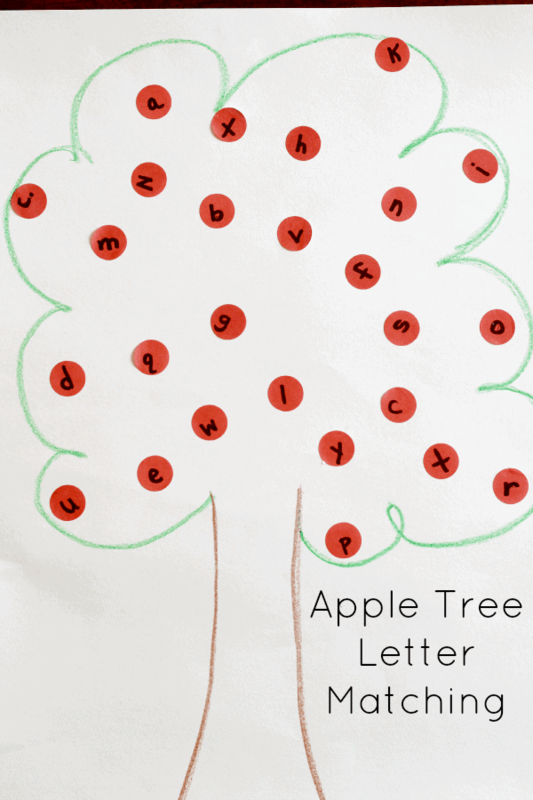 This looks like a fun way to practice letter recognition! 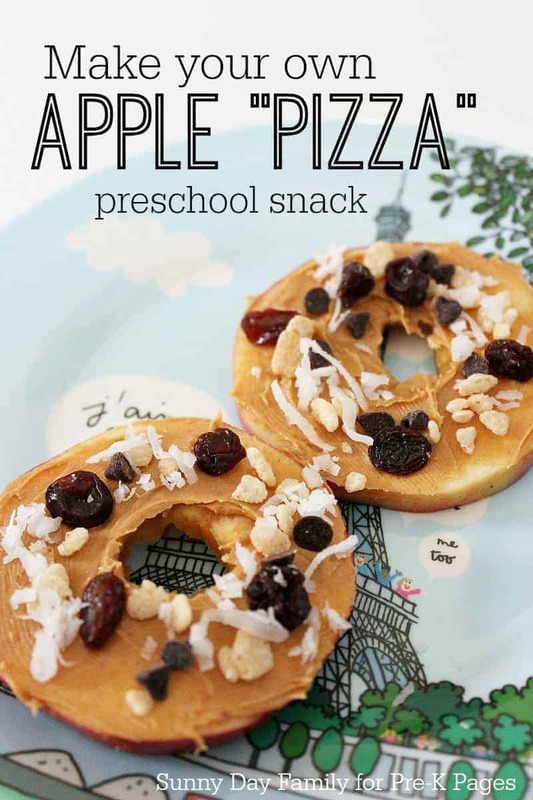 What a yummy snack to make with your preschooler! 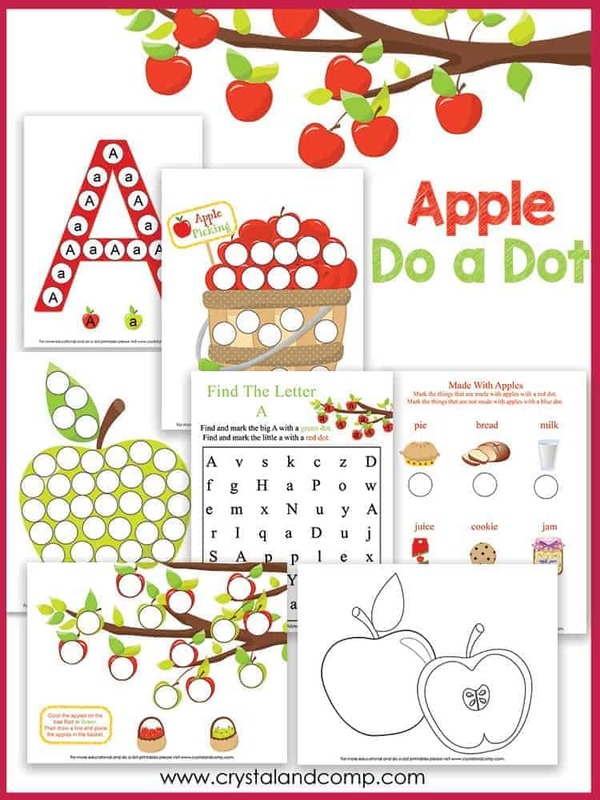 My preschoolers love Do-A-Dot activities! This would make a great busy bag activity. My kids love helping in the kitchen. 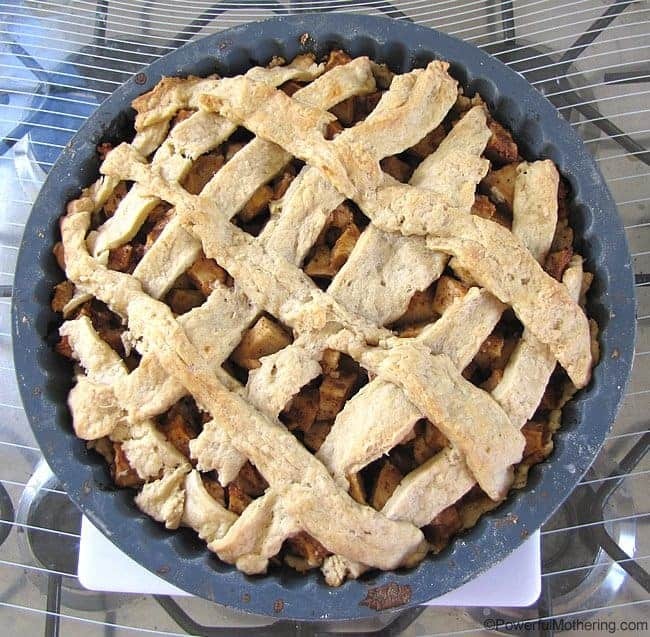 This post shows you how to get your kids involved in helping you make apple pie! 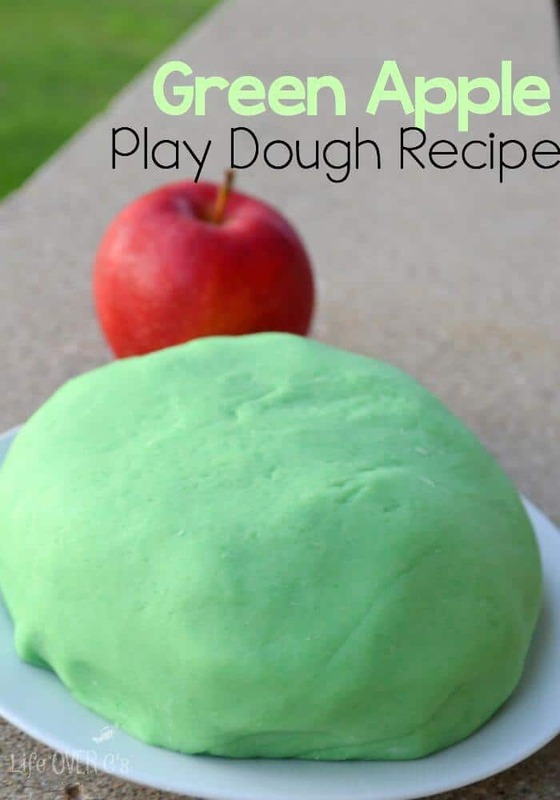 Homemade play dough is an excellent sensory activity for preschoolers. If you can make it scented, that just heightens the experience! 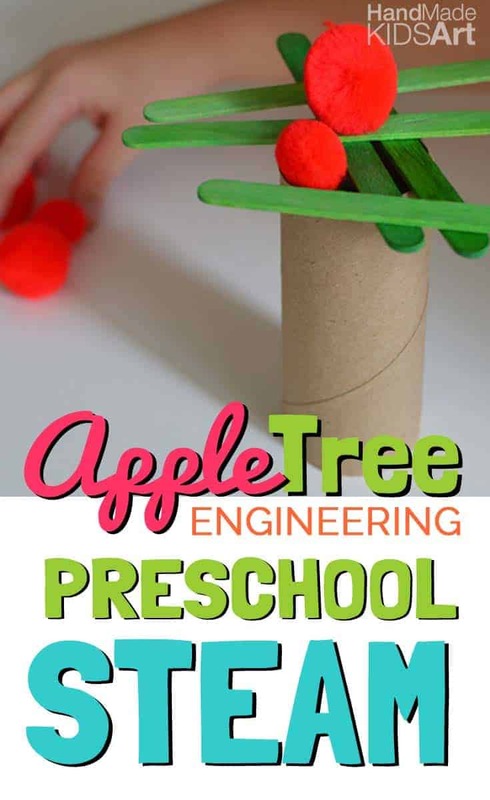 This looks like a fun activity for kids who love to build. 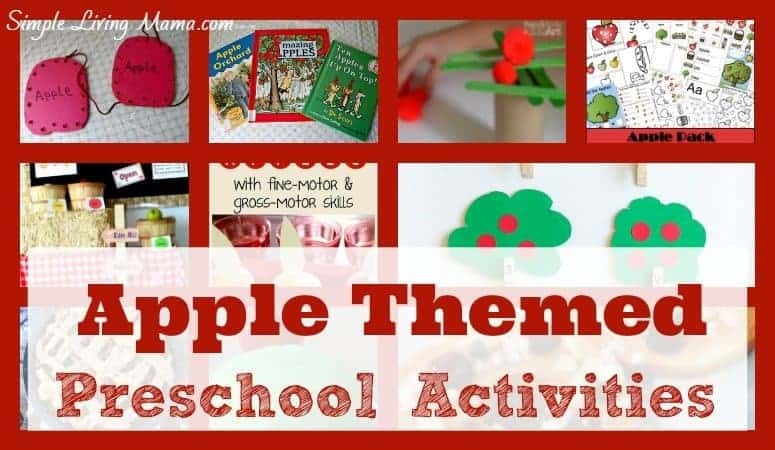 I hope you’ve gotten some great ideas for your apple themed preschool unit study! 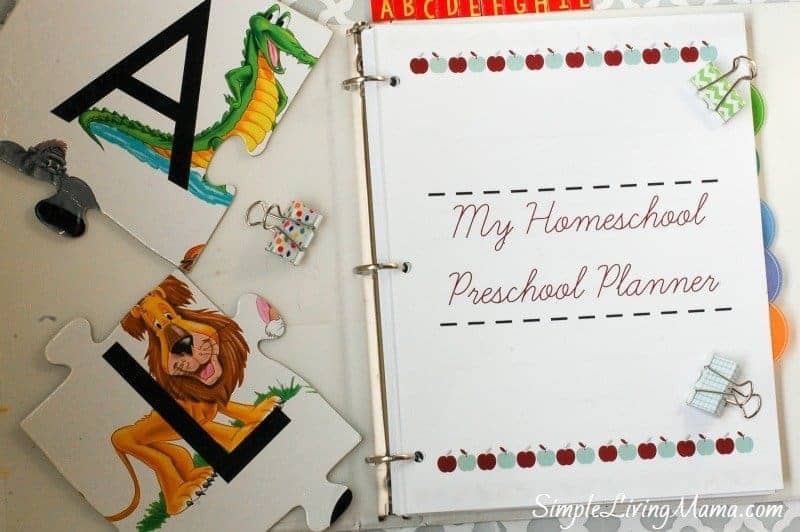 If you are planning your own homeschool preschool, I encourage you to check out My Homeschool Preschool Planner. It’s even got monthly theme ideas for you!